The Camerlengo fortress at the end of the tiny island on which houses the medieval part of Trogir, a lovely city named a UNESCO world heritage site. The fort was constructed between the year 1420 and the year 1437 by the Venetians. 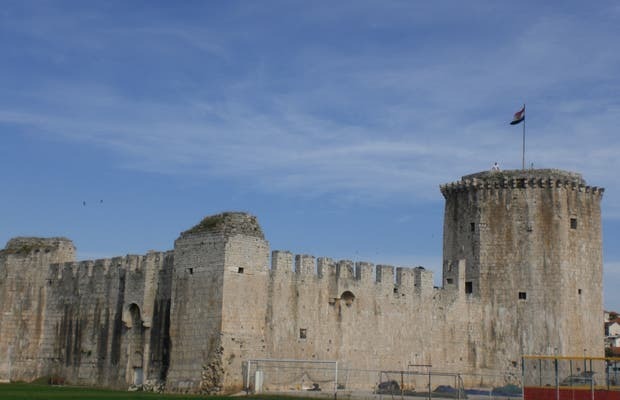 Its purpose was to protect the city, then named Trau in Italian, it was part of the Venetian Empire, where many forts were constructed, including this one. The Camerlengo, or Chamberlain, is a court official character of the Pope. It is responsible to manage the wealth , to ensure that taxes fall as they should, that the properties of the church are kept and used in an efficient manner.